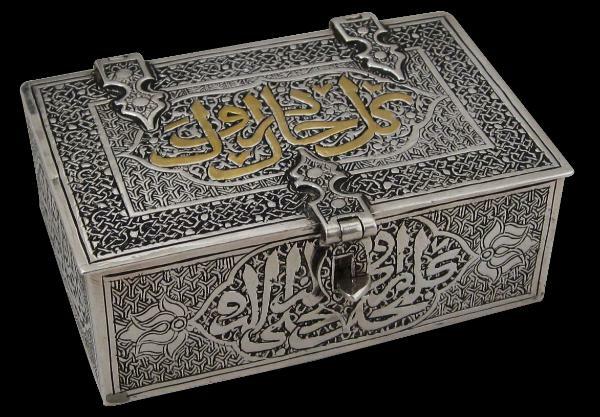 This beautiful box is chased and engraved front, sides and on the cover with cartouches containing Koranic script amid backgrounds and borders of interlocking Islamic trellises. 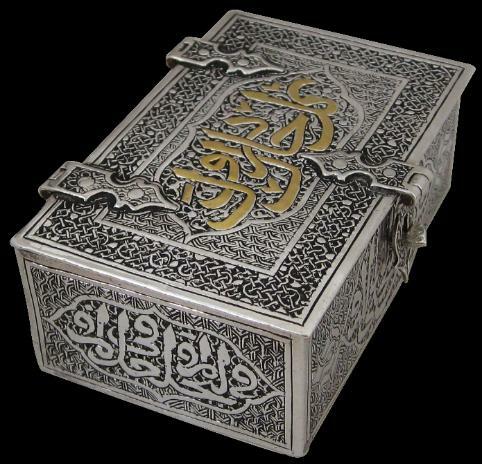 The lid attaches to the base via exaggerated hinges and with a similar latch that is secured by means of a twisting pin. 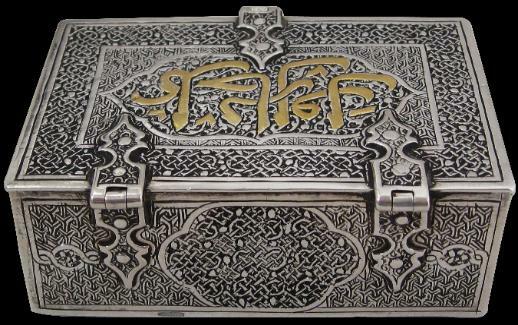 The Arabic script on the cover is in parcel-gilt. 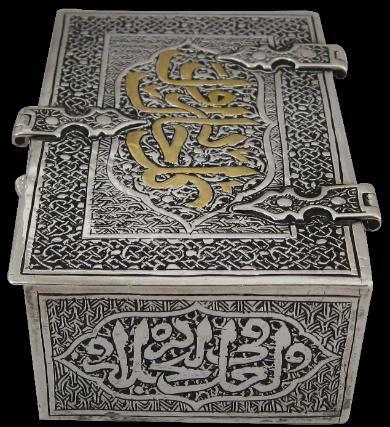 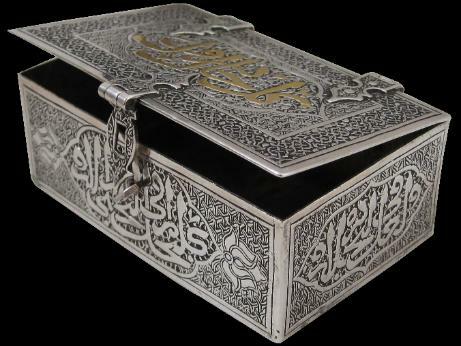 Boxes of this type normally are made of brass and inlaid with silver; it is rare to encounter a Syrian box such as this in silver and with parcel gilding. 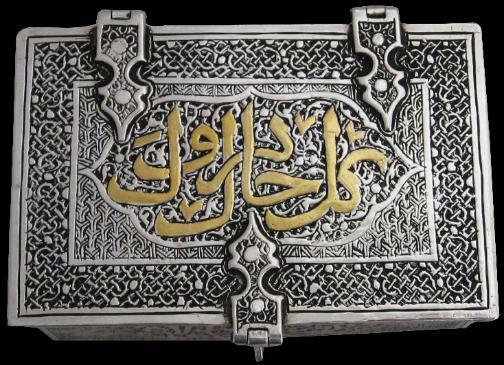 Possibly it was used to hold a small Koran.